As you may have heard, Typhoon Ketsana devastated the middle region of Vietnam this past week. The city of Da Nang, Quang Ngai, Quang Nam, Kon Tum and the surrounding areas of this region has been severely flooded, houses have torn down, schools are damage, hospital overcrowding, etc… The middle region of Vietnam is known to be amongst the poorest in the country. Many Vietnamese citizens who live inthis region have lost virtually everything after Typhoon Ketsana, including children losing their parents. We are calling out to everyone in the United States for help in this relief effort. We are asking for you to open your heart and let the less fortunate be a part of your lives by joining our collaborative philanthropic project to fund food, health care and education for the victims of Typhoon Ketsana. Media such as Little Saigon Radio, Hon Viet-TV, Viet-Tide and many others have joined our collaborative project. This is the first ever nation-wide collaborative project to fundraise for natural disaster victims in Vietnam by both young and old generations. 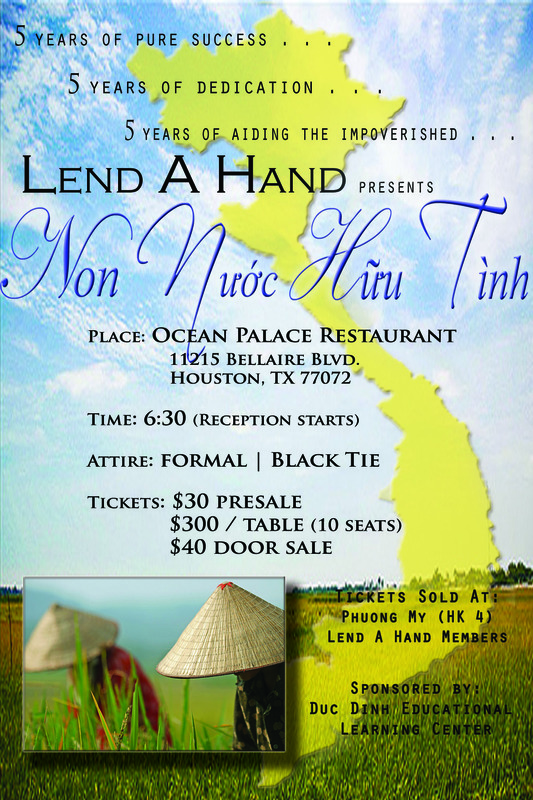 With over 1 million Vietnamese-Americans in America, we are prone to making a difference. We are calling out for support from every other organization/individual around the nation to join our cause by hosting your own fundraiser or simply just asking your network to donate. If everyone can ask ten people to donate $100 or twenty people to donate $50, you would have raised $1000 by yourself. If we can get 100 people to do that, we will raise $100,000. This is the same amount donated to Vietnam by the United States. Make a Paypal contribution to the right in our donation box. Mail a check written to Little Saigon Radio Memo: “Tien cuu tro mien Trung” or “help Vietnam Typhoon Ketsana.” Little Saigon Radio will then write a check to Lend A Hand VYO Inc. Please pick one of the following three addresses. 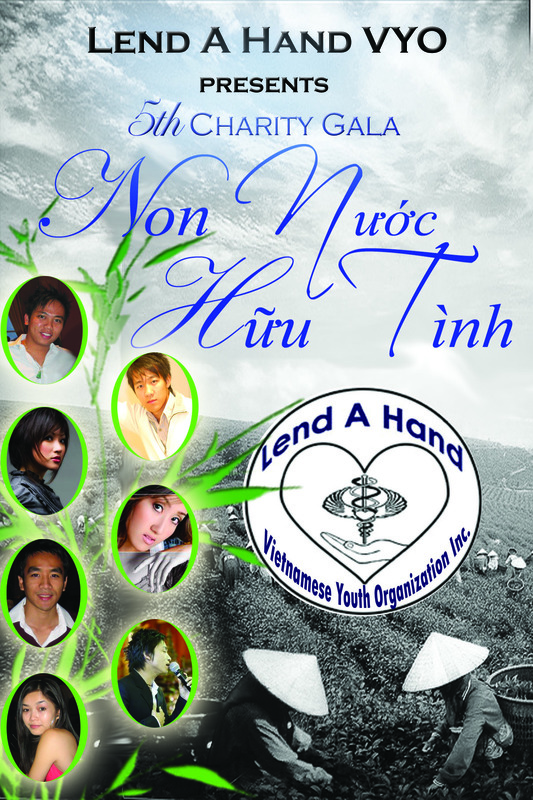 As of November 25, 2008, Lend A Hand Vietnamese Youth Organization, Inc is now 501(c)(3) certified. Lend a Hand VYO is now accepting new member applications! To sign up, please fill out the form located on this page: Membership Registration. This summer, Lend a Hand VYO is attending the fifth annual uNAVSA conference in Portland, Oregon in hopes of winning the Collective Philanthropy Project (CPP). The benefactor of CPP will receive the fundraised money from VSAs across the nation to further their respective cause. This accomplishment would mean more than just a tribute to five years of painstaking hard work; it would be a symbol of hope for the thousands of children in Vietnam that Lend a Hand still hopes to save. Lend a Hand has far exceeded any expectations in the areas of health care and education abroad, but in conjunction with CPP, its potential is truly limitless. Vote Lend a Hand for CPP – make a difference, provide an opportunity, save a life. © 2004–2010 Lend A Hand, Inc. All rights reserved.